According to sources close to the Taiwan-based manufacturer, it is reported that production of the iPad 5 will be both lighter and thinner, and will begin production towards the end of July / beginning of August. In addition, it is expected that the 9.7-inch iPad 5 will featured a thinner bezel, adopting a design similar to the iPad Mini, maximising the iPad’s screen, whilst keeping the iPad 5 shell smaller than previous generations. 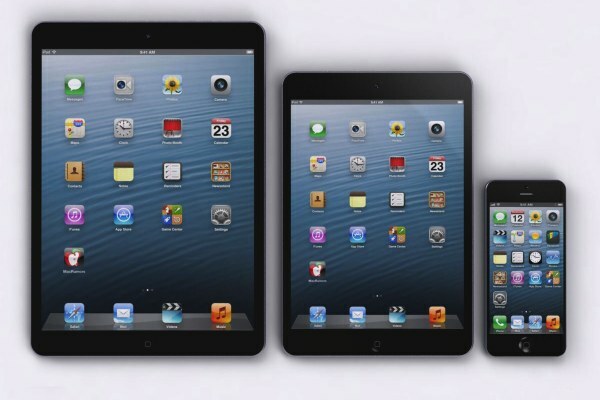 The sources pointed out that the new iPad will be thinner and lighter than the fourth-generation one and will adopt a slim bezel design, similar to that of the iPad mini. However, the report also expects that parts supply will play a major part in the availability and C2M process for the iPad 5, stating that the displays produced by LG and Sharp and touch-input sensors by TPK will be subject to strain and may struggle to keep up with demand. It is not the first time such supply shortages have impacted the availability of the iPad product line, with both the iPad Mini and iPad 4th generation experiencing significant delays shortly after launch. It was previously rumoured that the iPad 5 may make an appearance in April, along with a new iPad Mini 2, but given these news insights into the supply chain that production will not even start until summer, plus the fact it is already April, it is unlikely these previous rumours would end up being true. Giving the iPad 5 a thinner display would make perfect sense, as currently the iPad feels a lot bigger than it needs to be, and reducing the bezel will help reduce this size. Apple may have felt the need to make such a thick bezel to make a solid-feeling product; however, given the success of the iPad Mini, it is clear a thinner bezel and smaller device is a success.